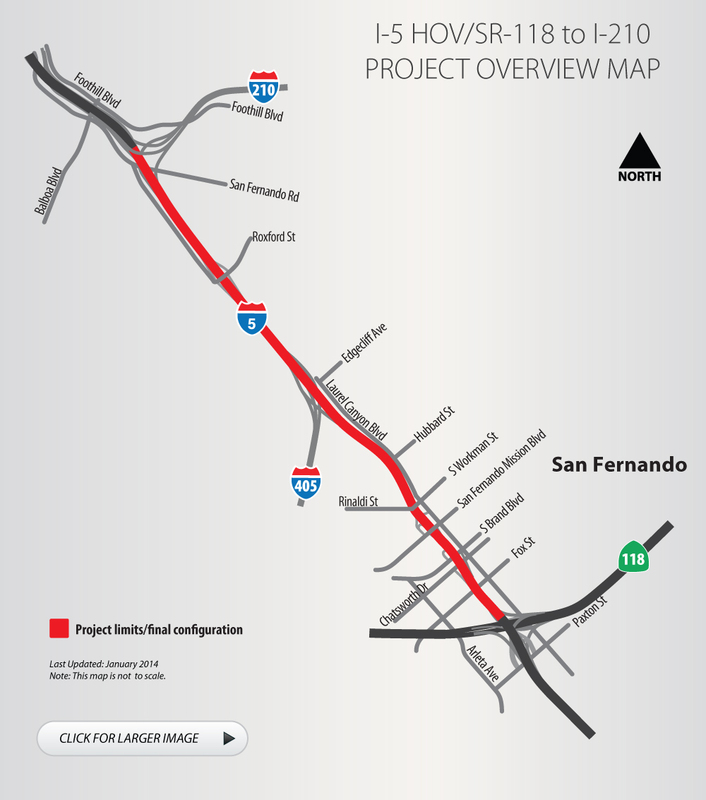 Pavement is being replaced along the Golden State Freeway (I-5) between the Ronald Reagan Freeway (SR-118) and Foothill Freeway (I-210) in Santa Clarita. This Caltrans improvement project will extend the life of the road, lessen the need for maintenance and related costs, in addition to providing a smoother riding surface. The project investment is $11 million and construction is expected to be completed in late 2012.